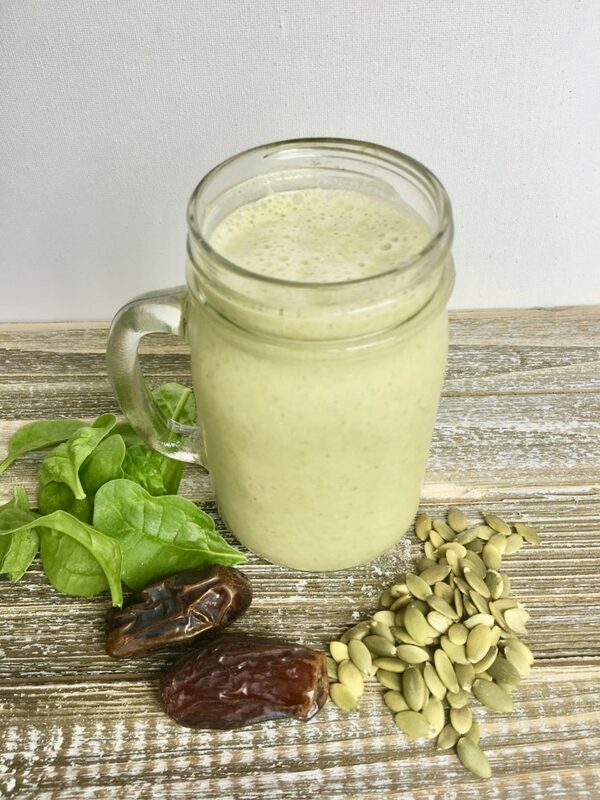 Satisfying and creamy smoothie that is packed with nutrients and super delicious! Place all contents in the blender, beginning with "milk," dates, and spinach. Add ice cubes and blend until desired temperature and consistency is reached.